Asia-North Europe ocean carriers are preparing to hike FAK (freight all kinds) rates again on 15 June, against a background of continued space shortages on both headhaul and backhaul routes. 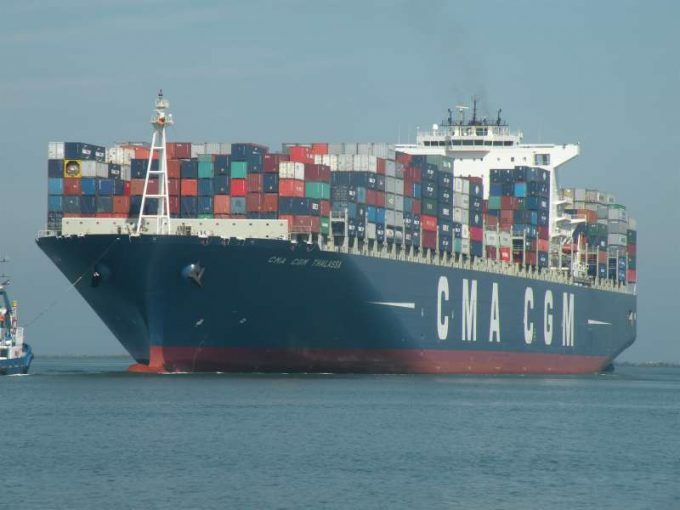 For example, a basket of new FAK rates from Asia to the UK, viewed by The Loadstar this week, range from $2,000 per 40ft quoted by CMA CGM, to $2,500 from K Line. Most cheaper contract rates are now coming to an end, which gives the container lines added confidence to push through the higher FAK rates in the build-up to the peak season. Moreover, space remains “tight” from Asia to North Europe, according to forwarder sources, and the carriers are intent on taking full advantage. And, according to one UK forwarder, the shipping lines are defaulting on the older rate agreements. Meanwhile, spot rates on the tradelane remained virtually unchanged this week, with the Shanghai Containerized Freight Index (SCFI) recording North Europe rates at $935 per teu and rates for Mediterranean ports flat at $904 per teu. Spot rates on the route have become less relevant in past weeks, as carriers are only turning to that market for last minute top-up cargo. However, on the transpacific tradelane, the introduction of bigger ships and competition from non-alliance carriers HMM and SM Line is keeping freight rates under pressure. The SCFI recorded a further slippage of spot rates to both the US west and east coast ports this week. For the US west coast, rates fell 9.6% on the week to $1,277 per 40ft, whereas for east coast ports, there was a decline of 8%, to $2,233 per 40ft. For the backhaul route from Los Angeles to Shanghai, Drewry’s World Container Index (WCI) was unchanged at $549 per 40ft. Elsewhere, for the backhaul from Rotterdam to Shanghai, the WCI recorded an increase of 10% on the week to $1,198 per 40ft. According to one major forwarder who contacted The Loadstar last week, shippers are still facing space restrictions between North Europe and Asia. The UK-based executive said he was facing a continual space problem for exports and alleged that allocations were being cut on vessels sailing from Felixstowe in favour of Rotterdam and Hamburg. He said he had been told privately by the European headquarters of one top-three carrier that it was company strategy to shut out UK cargo in favour of better-paying boxes from the continent. He cited one recent example of a Taiwanese carrier that had decided, during the vessel’s call, not to load a single container at Felixstowe – the ship sailing away leaving the entire export stack on the quayside. The same carrier hiked his UK-to-China rate by $750 per 40ft in mid-March – but it seems even paying this increase has not guaranteed the forwarder shipment of his containers.